Once upon a time, manufactured homes were referred to as single-wide and double-wide mobile homes. In 1974, though, the U.S. Department of Housing and Urban Development standardized building codes. From that point on, it was “manufactured homes” — factory-built houses engineered and constructed to the strict specifications of HUD’s federal building code. The story of manufactured homes is about to take another turn as 21st century interests converge with the many amenities now available. Let’s look at five ways manufactured homes are ready for the future … today. They modernized a centuries-old process. In the United States, timber-frame construction dates back to roughly 1637 — more than three-and-a-half centuries ago. 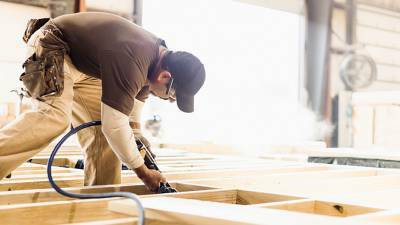 Now, manufactured homes are ready to take center stage. Advanced engineering and construction methods ensure quality-built and energy efficient structures built in a controlled factory environment. That makes rigorous inspection standards easier while protecting the home’s elements (pre-hung doors, windows, siding, etc.) from weather-related damage, vandalism and other hazards. They’re perfect for retiring baby boomers. In little over a decade, 20 percent of the U.S. population will be 65 years old or older. That makes the affordability and customization available through Silvercrest’s manufactured homes the perfect choice for empty-nesters looking to either downsize, engage in a more active lifestyle or both. That affordability comes from our efficient building methods, as well as the negotiating power we have to net low prices on building materials, including interior features and appliances. They’re remarkably energy efficient. Homebuyers today are rightly concerned about energy efficiency. An energy efficient home can reduce cost and impact on the environment. They offer timeless — and practically endless — design options. Looking for something with a touch of the Craftsman look? We have it. Maybe you want a modern kitchen with Whirlpool® appliances, a freestanding gas range and 18 cubic foot double-door refrigerator? It’s available through Silvercrest. Skylights? Check. Bay windows? Check. The list goes on … and on. 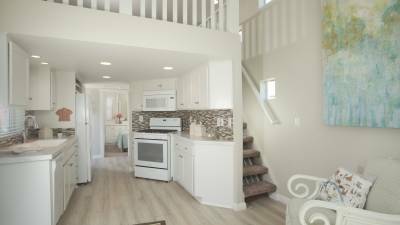 With their highly customizable designs, Silvercrest’s manufactured homes have whatever it takes to meet your exacting design standards. Welcome to the 21st century. 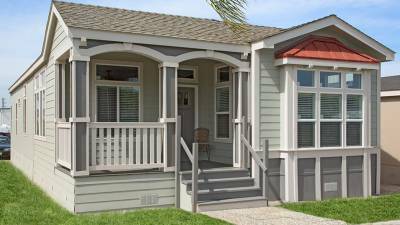 Your new Silvercrest manufactured home or modular home is waiting for you. See how a Silvercrest home is built to a higher standard. Whether you're a first-time homebuyer, part of a growing family or an empty-nester who wants to downsize, Silvercrest's designs and customizable floor plans are the perfect complement to your way of living. Silvercrest manufactured homes and park model RVs are built in Corona, California and sold through retailers in CA, AZ and NV. With full-size amenities, from kitchens to bedrooms, why you should choose a Sierra Limited Park Model RV over a "tiny home."